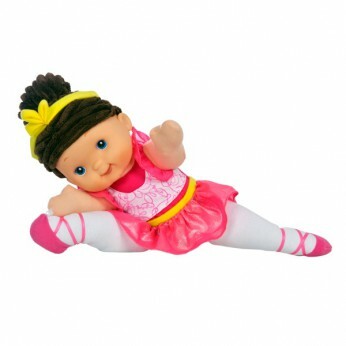 Twinkle toes is poseable to perform a perfect twirl. She sings her own ballerina song. She is 28cm in height and is soft and cuddly – the perfect size to carry everywhere. Batteries Included…. This toy costs approximately £11.99 (for the latest and best prices make sure you check our retailer list for the Twinkle Toes above). In our review of Twinkle Toes we classed it as being suitable for ages 1 to 3 years but recommend you check the manufacturer specific advice before purchasing.